Can’t get enough of that nostalgic feeling of being killed by a boar, KS’d by a Rogue, and having to run everywhere? Well, you now have four more days to enjoy the WoW Classic demo.Though it was originally slated to end this morning, Blizzard has announced that the servers will stay up through Monday at 10am PT. If you have a Virtual Ticket or attended BlizzCon, you’ll be able to continue your long slog to level 16. We kid. 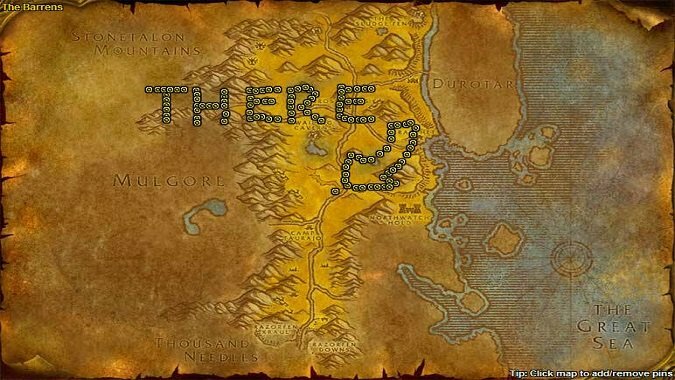 You can actually level all the way to 20 if you have the patience, though there’s only so much to explore since you’re locked to Westfall and the Barrens. But there’s plenty to do (again, if you have the patience). Get that last zhevra hoof. Accidentally kill even more chickens. Level another class to level 16 20. There’s no denying that Classic WoW moves more slowly than current WoW, so we probably needed these extra few days to savor the experience. If you haven’t downloaded it yet, you can get it directly from the launcher and despite our sarcasm we think it’s worth playing. If you played in vanilla this demo is a real trip down memory lane, and if you didn’t it’s a crazy look at WoW’s distant past. But if you don’t have access to the WoW Classic demo (or simply don’t want to put yourself through that again), you can experience the game vicariously with our galleries of Westfall and The Barrens. Having talked to the WoW Classic team, we got the feeling they are so dedicated to recreating the classic experience, that you’ll think it’s 2006 again. Either way, enjoy your extended stay and be on the look out for the launch of the full classic experience next summer.